A recent question about whether new aluminium Zing needles are strong or flimsy got me thinking about doing this comparison. The Zings are aluminium whereas their Nova siblings are brass. But then the Zings are solid, I believe, and the Novas are hollow. 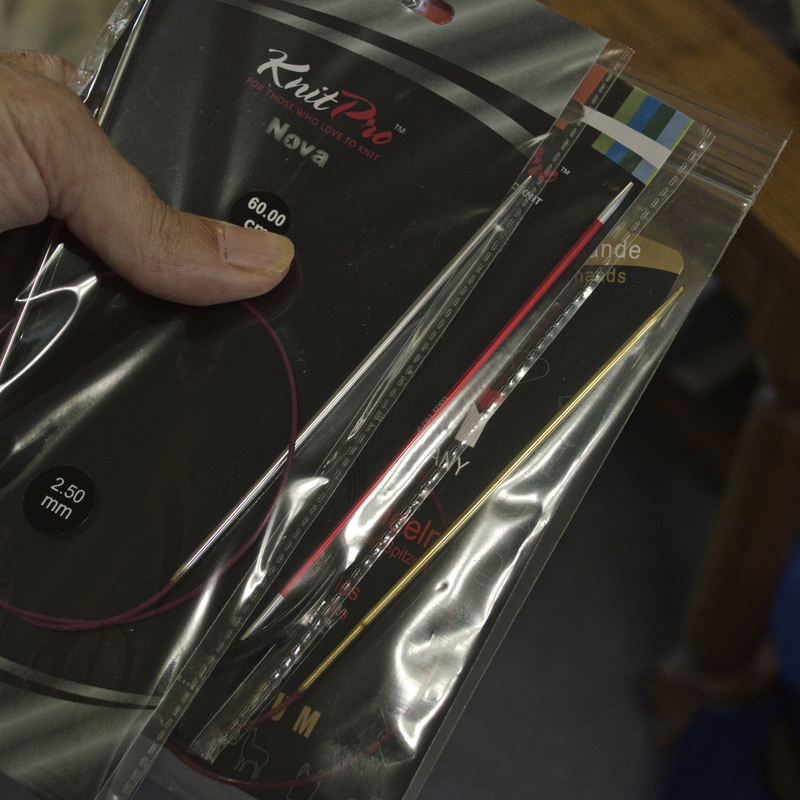 In a recent test I found the Novas are the heaviest of the Knitpro range (at least of the ones I stock). I also decided to add an Addi lace circular to my death row (because I'm curious). All are 2.5mm diameter. One thing I'd not noticed before - the Zing tips are slightly longer than the others. 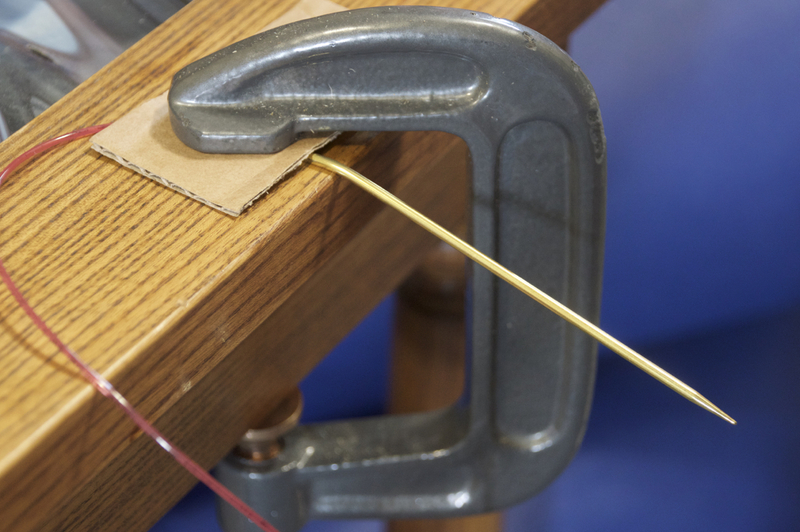 Here's the setup; a container suspended from one end of the needle, with the other clamped to the table. I slowly pour water into the container until the needle is permanently bent. I'm sure you'll remember from your O level physics that when metal starts to bend, it bends in an elastic way, i.e. when you let go it springs back to its original shape (in this case straight). When you apply enough force it starts to bend in a 'plastic' way which means that it bends but doesn't spring back. That point is known as the 'elastic limit' and it's what we're looking for here. 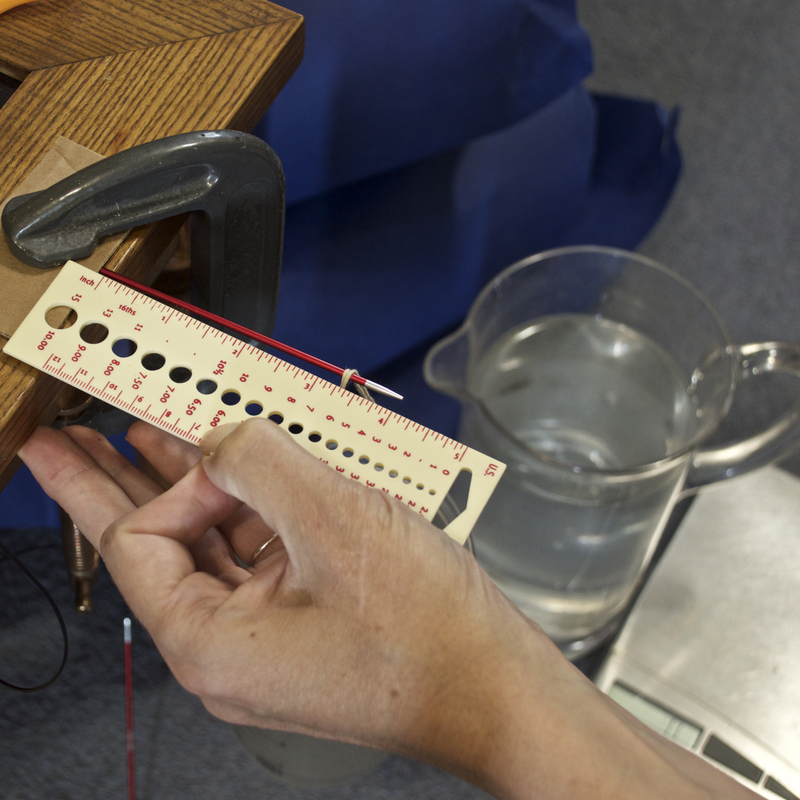 When the needle bends, I weigh the container of water and we have a figure that we can use. Note the careful measuring above - this is important because as you'll also remember, here we're demonstrating 'moments', in short the distance the weight and the fulcrum (the table) are apart will determine how easily the needle bends. All that matters is that it's the same for each test. 4" of needle protruding and the weight 3/4" from the tip. The heavier Nova comes out on top, but not hugely. Both flexed quite a long way as the weight was added, but as mentioned earlier, if the needle sprung back straight when the weight was eased, then we kept going. The difference is the point that the needle wouldn't spring back. 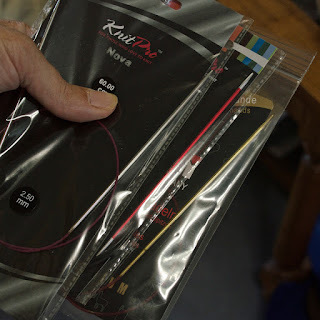 As you can see, at the eleventh hour I condemned an Addi Premium too (aka Turbo) - the Lace bent so much more easily than the Knitpros (It surprised me - I destroyed the other end as well to be sure). I wanted to see whether there was a difference between their lace and premium needles. 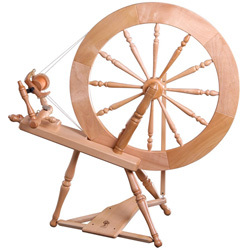 But both seem in the same ballpark, and can take around half the punishment of the Knitpros. The Zings will bend (permanently) a little sooner than Novas, but both take quite a bit of force before bending. Around double that of a competitor. There are plenty of other differences that should also come into your decision - tip taper and sharpness, finish, tip length (noted above), whether the size is marked on the needle and colour of course - users are loving the colours of the Zing range and that's important. Thanks to Mister Percival. I know we gave you a hard time but your efforts weren't wasted. I also notice that I mix imperial and metric units fairly wildly. A legacy for us children of the seventies! I think, coming at this from a more practical view point we should accept that at some stage somebody will sit on one and bend it. The question should be "how easy will it bend back", or will it (like an umbrella spine) break when you attempt it. Generally hollow tubes tend to fall into the latter category if bent past a certain acute-ness (is that a word?). The question about aluminium is an interesting one, as it can be made strong (they make aeroplanes out of it dont they? ), but obviously they're made to a cost, but as such they appear to perform quite favourably against the solid brass model. Years ago they were grey coloured and made of mild steel, but they still bent. It seems today that they are a much more trendy, higher class item. Well done, a scientific/engineering answer with a clear outcome. 'How easily will it straighten' and 'how easily will it break with repeated bending' are both good and practical questions. You're right that sitting or standing on one is a hazard, but there's a more pertinent scenario - these needles go down to 2mm and you can see the length of these tips. (the double-points and single-points are even longer and go down to similarly thin diameters). 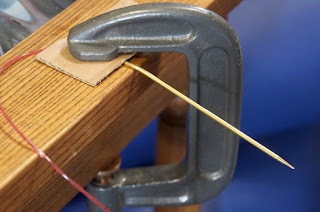 So they can bend in normal use, especially if your gauge is tight, you're trying to carry out a particularly convoluted stitch or you're just heavy-handed. This is where the person was coming from who asked the original question.